Beginning this year a total of 18 30-min time slots have been allocated for companies to introduce (significantly) innovative products. 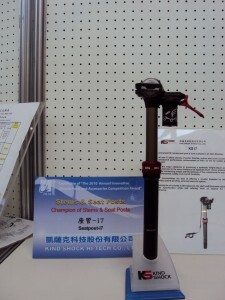 Every company with a booth at Taipei Cycle 2011 is able to apply, but priority will go to companies that have been shortlisted for the 2011 Innovative Products Competition who wish to avail themselves of the opportunity. 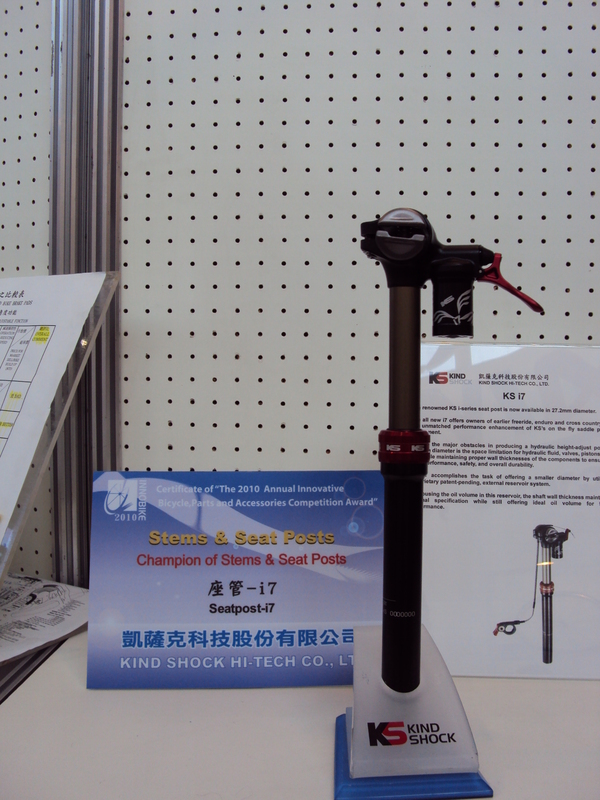 Each IPC year winners and place-getters have their products displayed in a central area along with basic details. It would seem that this year exhibitors and visitors will have the opportunity to get a detailed insight into specific innovations. The first 4 sessions will be on Wednesday 16 from 2pm-4.30pm. On the following day,Thursday 17, there will be 6 sessions commencing at 11am to 4.30pm. Ditto on Friday 18, with the final two on Saturday beginning at 11am. Place, Conference Room 404. TAITRA (Taiwan External Trade Development Council) has specified that presentations must be in English and that presenters must achieve an acceptable standard of presentation. TAITRA are also urging presenters be proactive in advertising their participation to other exhibitors by getting the word out via leaflets and so forth. As details become available on who the participants turn out to be, I’ll endeavor to pass them on here. Taipei Cycle is always an action-packed couple of days and finding the time to fit everything in is a juggling act even if you are on-site for the whole four days. I would think that there will be quite a few items of great interest in this inaugural presentation series that will make for some absorbing sessions.